Maddy strives to bring joy into hard work. She has over a decade of martial arts experience, holding a black belt in Shudokan karate and MMA training in Cuba with national champion Evelio Padron. Her martial arts background has helped developed keen physical awareness and mental discipline, which helps improve her personal training techniques and understanding the powerful potential of the well-trained body. 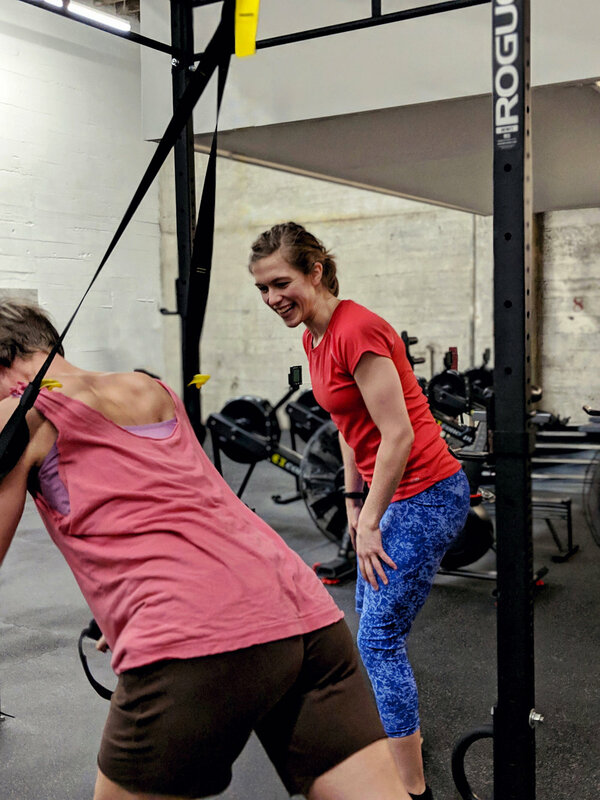 Maddy’s personal fitness experience includes training for long-term, performance-oriented goals, and exercise focused towards mood and mental health. In 2016, Maddy took up ultimate frisbee, which she now also coaches. In addition, she loves outdoor distance running, pushing her limits during high-intensity circuit training, and weight training to build athletic strength and speed. In the gym, Maddy has experience working with individuals who identify as lifelong athletes as well as those just discovering fitness. She has adapted training programs for a variety of client needs, abilities, and preferences. Wherever a client may be in relationship to their body or fitness journey, Maddy will help develop a plan and find a path forward. Maddy’s training sessions are all intentionally designed, physiologically comprehensive, and informed by current research. Maddy offers positive and constructive guidance, a compassionate training approach, and will deliver results to help her clients become their best selves. Expect to leave a training session sweaty, challenged, accomplished, and smiling.